Asian women are famous for their poise and beauty. Many of Asian skin care secrets and tips have been passed down, not only for generations, but even for thousands of years. Most Asian women take their beauty routines seriously, especially Korean women. It is shown that the average the beauty regime of Korean women contain about 26 different steps, while t he average American woman has just 6-7 steps. 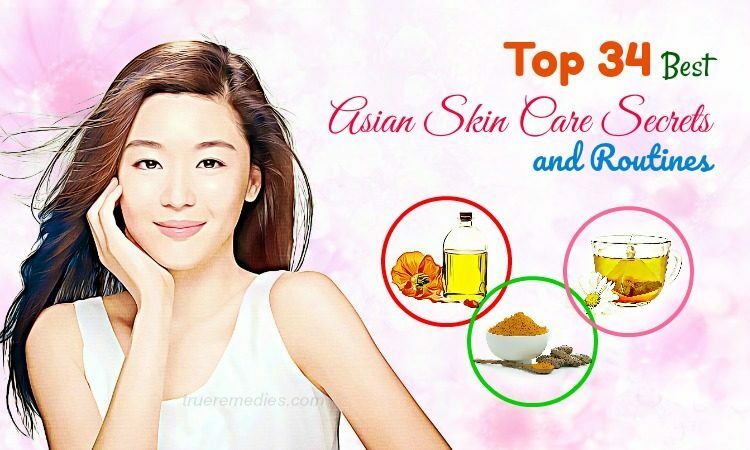 If you wish to know more about Asian skin care secrets in order to achieve the natural looking beauty and flawless skin of Asian women, then read this article here – introduced by TrueRemedies! 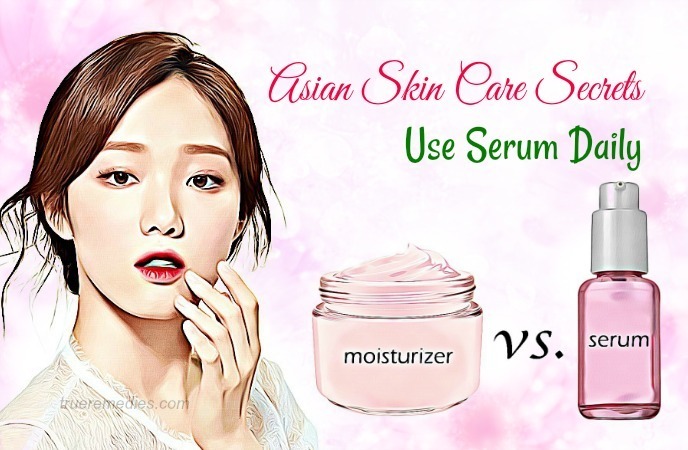 It is worth noting that Asian women spend time in moisturizing their skin. They often start from the chin and then work their way up the whole face to slap moisturizer on their skin. But, without rubbing, they leave it to soak naturally in via slapping actions. One of Asian skin care secrets is tea. Women in this region place a huge importance on the benefits of tea, both medicinal and beauty. There is a wide range of tea that women in Asia are making use, from green tea to herbal teas  . They drink different types of herbal teas for various reasons, such as boosting immunity, detoxifying the body, and keep the skin clear. Sunscreen is one of the most important Asian skin are secrets. Women here take guarding their skin from sun rays seriously. That explains why you see many Asian women carrying umbrellas or clothes that cover their whole bodies. In regard to sunscreen, they use it every day. This is natural plant oil which is a favorite of many treatments used in Asia. Also being used as cooking oil in Japan for a long time ago, Camellia oil is also used in beauty regimes as a moisturizer, for treating stretch marks and burns and as a hair conditioner. Especially, it is known for the high concentration of polyphenols and vitamin E, not to mention to its ability of being absorbed rapidly into the human skin without blocking skin pores. Another tip when it comes to Asian skin care secrets is massage. Chinese people value the role of massage towards their health and beauty, because they understand the power of reflexology and the ability that massage could improve the skin . They use massage not only because they feel relaxed and wonderful when doing it, but also it is a way of detoxifying their whole bodies and boosting the blood supply to their skin. This tip is very common in Asia. If you have not known about it before, skin polishing is a process of cleansing the human skin with the support of gentle exfoliation by using a pumice stone. It is completed with a face pack or moisturizing. Skin polishing will eliminate dead skin cells, brighten the skin without having to use abrasive scrubs. In Asian countries, turmeric is not only a popular ingredient in the kitchen but also a beauty secret. Turmeric is often used for skin care products. It is an ingredient in many anti-aging face masks to help reduce wrinkles and fine lines . In order to make your homemade Asian face mask using turmeric, you can mix 1 tablespoon of almond milk with 1 teaspoon each of turmeric and raw honey. Then, apply the mixture over your face and wait for 10 minutes before rinsing it off. 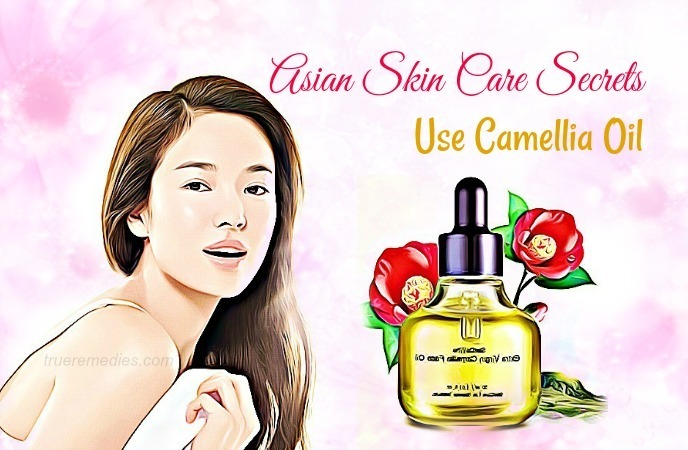 While many women in Western countries are finding oil-free skin care products, Asian women seem to prefer to use oil for their skin cleansing routine. They often use natural, light plant oils which dissolve and remove mineral oils found in sunscreen as well as makeup straight off the skin without blocking up skin pores or leaving residues. Belonging to Japanese, oil cleansing is slowly but helpful. 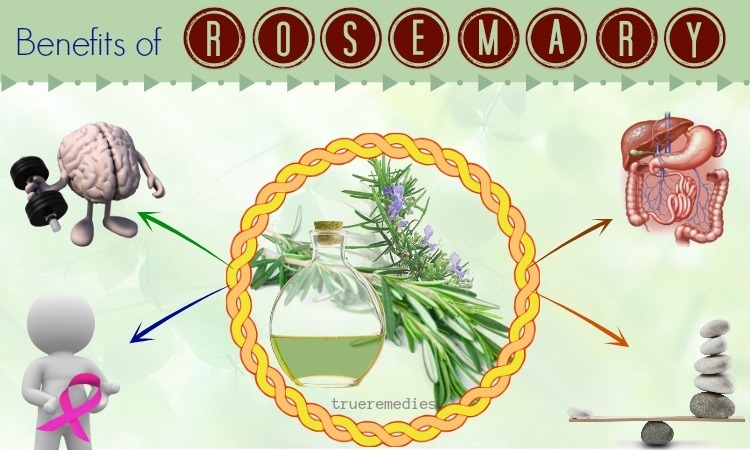 A lot of acne sufferers have seen great results when replacing their chemical-laden cleanser with pure oils. However, the fact behind that trend is that the method used is called double cleansing. The first step of double cleansing is to remove makeup and the second is to purify the skin for eliminating pimple-causing sebum as well as dirt. To apply this method, you need to apply an oil cleanser to dry your skin with your dry hands, then massage to eliminate the makeup. Then, rinse your face with warm water, followed by a foaming face wash or a cream, depending on your skin type, in order to eradicate impurities on skin. After that, apply toner/essence, serum and/or moisturizer. 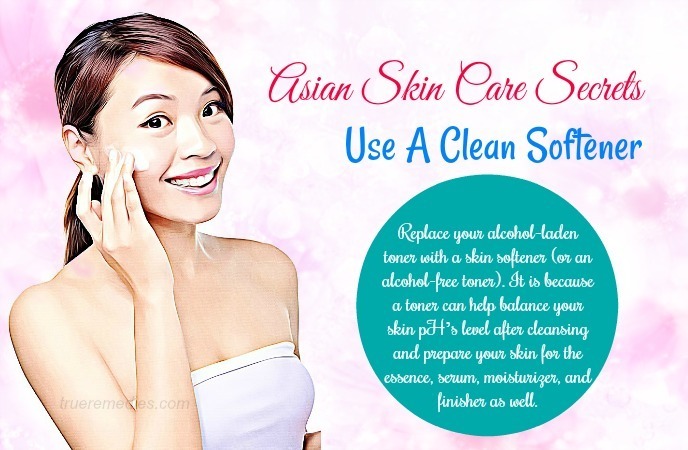 Replace your alcohol-laden toner with a skin softener (or an alcohol-free toner). It is because a toner can help balance your skin pH’s level after cleansing and prepare your skin for the essence, serum, moisturizer, and finisher as well. Traditional toners having alcohol just dry your skin and might make you feel like you are clean but actually in fact it is just a fake feeling. If you are similar to most other people, then washing and moisturizing twice per day is normal. If you want to have ethereal skin of Chinese movie stars or Korean pop music stars, then you should spend more time on caring for your skin. Begin with double cleansing and complete with a mist. 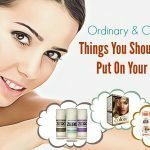 This regime could include 17 products and you had better wait from 30-60 seconds between each product application. The detailed routine is: cleansing, then applying a toner by using a cotton pad or fingers, then a watery essence, next some serums (3 or more) to focus on different problems. After that, a paper mask could be used and eliminated prior to using eye cream, moisturizer, sleep mask and mist. Paper masks are serum-infused face-shaped pieces of paper which have holes for two eyes, nose and mouth. They are applied to the face and left there for 10 minutes or so. They are handy for travel and a huge skincare product in Asia, but they do not have to be bought. You can make use of natural masks like egg white for toning and tightening. Unlike most cream masks, paper marks are claimed to be more efficient as they are saturated with good skin care ingredients. You will be forced to relax during the time of using this mask, meaning that the serum will be absorbed into your skin. 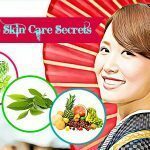 When it comes to Asian skin care secrets, brushing sounds strange, but it is highly appreciated in Japan – the original country of this method. Brushing your face daily with a soft-bristled brush will help keep your skin toned. It also prepares your skin for the serums and creams put on it actually sinking in. And, today, this trend has been caught by Americans. The Clarisonic brand has launched a similar device for face cleansing. Women in Asia hydrate their skin, both externally and internally throughout the day, and mist facial sprays over their face to help refresh their foundation after lunch. Facial mists are also available in America. Some products are created with bamboo sap to keep the human skin hydrated for about 8 hours. If you want to have a healthy body, then you need to go for unprocessed, natural and nutritious foods. And, that also goes for your skin. Ginseng, green tea and kimchi are ingredients used in Korean skincare routines. Eye creams are rather expensive, but it is worth your money. The most crucial thing to understand about Asian skin care regimes is that they are created with preventative care in advance. Rather than trying to treat dehydrated, sun damaged, or neglected skin with chemical-filled, harsh products, products of Asian skincare regimes seek to hydrate, protect and strengthen the skin before it is officially damaged. Even when you do not have under eye bags, wrinkles, or red spots this time, you should also consider using a good quality eye cream. Otherwise, you will have to splurge on expensive “repair serums” later. If you ask me what the “secret” product of anentire Asian skincare regime is, then the answer is serum. Serum is a powerful liquid which you will apply on your skin after cleansing, but before using any creamy lotions. Night cream is very important in Asian skincare. It is the product used to restore the skin after a long day. Whatever you use, make sure that it is heavier than what you have put on during the daytime. Remember that consistency of application is usually more important than those apparently high-quality products. 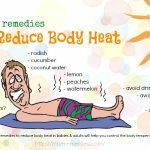 This is rather similar to the 5th tip, but this is more detailed: steaming massage. It is recommended to use not only circular motions with fingers, but also tapping in the rotating motions – beginning on the forehead, then cheekbones, cheeks and last jawbone. This will increase blood circulation and creates a glowing complexion. For extra benefits, you can use an oil cleanser in order to maximize the hydration. According to a 70-year-old woman in Korea, she used a nubby washcloth to massage her face daily, using circular and upward moving strokes. The majority of modern Korean women feel that essences are very crucial in their daily skincare routine to help seal in the goodies of their daily cleansing. Essences basically are mild, skin nutrient which is filled with solutions (not toners) which hydrate your skin and are used after cleansing. The following step is adding a serum, then a moisturizer for increase skin hydration and elasticity. Actually, smoking will make your cells lacked oxygen, leading to sallow, dull and tired-looking skin. Thus, it will add to the already golden undertones or natural yellow of Asian skin. Fitness plays an indispensible role in the well-being of the whole body, including the skin. All Asian people follow a carbohydrate-rich diet containing rice and wheat. In addition, they also add veggies, fruits and fish along with the meat. In combined with carbohydrates, proteins and fats help the human body function well and make the largest body part – the skin – more beautiful. Also known as Mandarin orange, tangerines are widely grown in Asia. It is harvested in the winter, but nowadays, it is available in the supermarket throughout the year. You can make use of this fruit in the raw form or add them to your salads. It is proven that mandarins have a rich source of vitamin C, helping lighten pigmentation, dark skin and brown spots. Consuming mandarins regularly could make your skin glowing and boost your skin complexion in general. If used topically, mandarins’ antioxidants could help in protecting the skin from UV rays and lessen premature aging signs like wrinkles and fine lines and blemishes. You can also make a mandarin mask, which is a suitable for all skin types. Nonetheless, due to the vitamin C content, it is recommended applying the mask in the evening 2-3 times per week. Avoid sunlight at least 8 hours after application. Use figs to improve your skin health and treat skin problems. Thanks to its multiple nutrients, along with delicious taste, this seasonal fruit are added to many ice-creams, baked foods and jams. The nutrients in figs are calcium, iron, manganese, vitamins and phosphorous . Or, you can also use figs topically to treat pimples, acnes, whiteheads, blackheads, cysts and zits. This fruit can cleanse your skin and make it refresh. Massage your skin with dried figs gently for several minutes to take advantage its benefits. Then, rinse off with tepid water. Use this method 2-3 times per week. 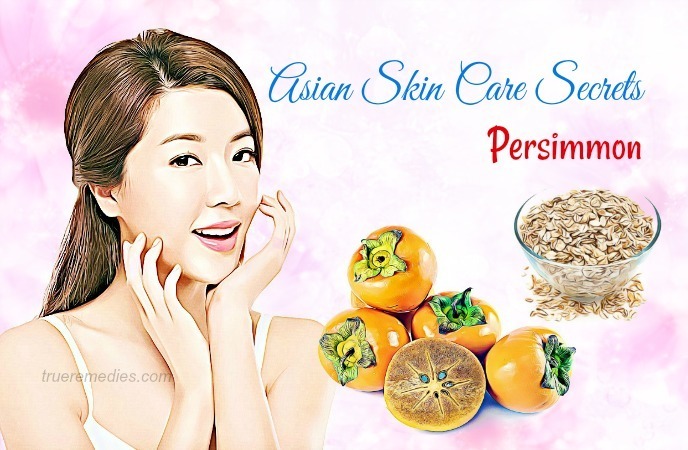 Being a common fruit in Asia, peach is one of Asian skin care secrets you should not skip. 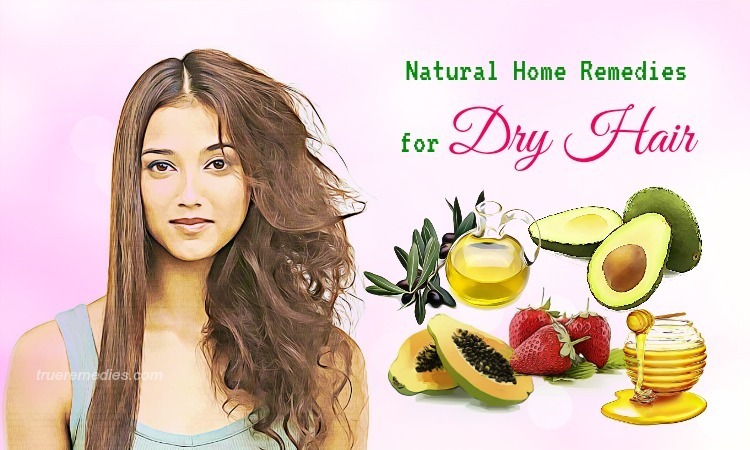 Asian women use this fruit for their skin care routines due to its vitamins, antioxidants, chemicals and minerals. In accordance to studies, the vitamin A in peaches is helpful for preventing cancer as well. Peach when being used in face masks will make your skin supple and glowing thanks to the rich content of vitamin C, protein, beta carotene, vitamin K, potassium, magnesium, and selenium. All of them are beneficial for skin health. Alternatively, you could also mix 1 tablespoon of oatmeal with peach juice, plus with a little raw milk. Apply this mixture over your skin for 20 minutes and wash it off with tepid water. This mask is suitable for oily skin which is greasy and thick. Even, it helps improve skin tone and purify the skin at the same time. Also called as pineapple guava, feijoa originates from South-America, but this is commonly used in Asian skin care routines. As feijoa is jam packed with nutrients, vitamins and minerals, consuming it will improve your health and make your skin gorgeous and glowing. You can use it topically as a mask. The vitamins included in this fruit are vitamin C, B, E, K, niacin, calcium, magnesium, manganese, copper and pantothenic acid. Apply the paste made from the flesh of feijoa with yogurt onto your face and wait for 20 minutes before washing it off with tepid water. Repeat this routine 2-3 times per week to get noticeable results. Being a tasty fruit with an oval or round shape, golden yellow color, and smooth texture, persimmon originating from East Asia is loaded with many nutrients like vitamins and minerals, antioxidants. 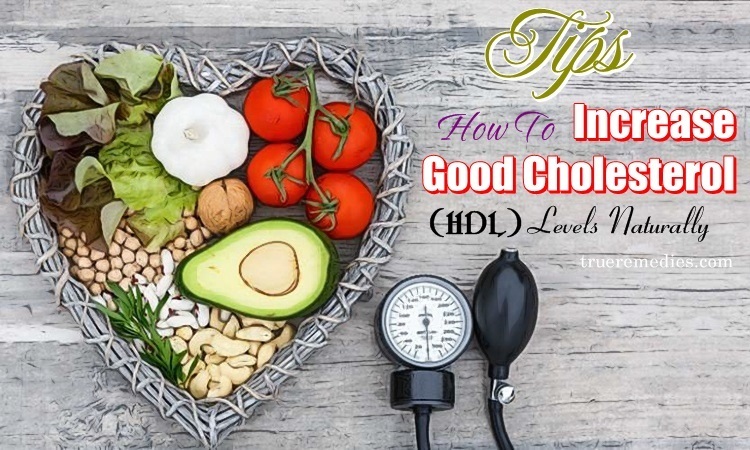 Thus, it comes with a lot of benefits for both health and beauty. Also, persimmon is high in fiber and mineral micronutrients, antioxidants, which play an crucial role in combating aging signs like wrinkles and fine lines. Other nutrients are vitamin A, C, P, iron, magnesium, phosphorous, potassium, and calcium. Alternatively, you can also mix flesh of persimmon with milk with the ratio of 1:1 to have a smooth paste. Apply it over your skin, wait for 15 minutes and wash it with tepid water. Ginseng is an ingredient which has been the hallmark of Korean beauty for a long time. It really kicks off the skin care market of Korea. Not only is it used topically for its anti-aging effects, but ginseng tea as well as ginseng-based foods is a staple in Korean cuisine. Using ginseng can be good for detoxifying your skin and removing any pollutants. Also, there are many antioxidants . Because collagen diminishes with age, so many Japanese women are taking advantage of collagen in order to boost the radiance of their skin and rejuvenate it effectively. As we know, match is a type of powder used to make green tea, particularly in traditional Japanese ceremonies. To Japanese, they reckon this to be the beverage of boosting health due to its high content of antioxidants. 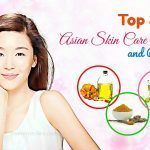 This element could help with your complexion, so there is no reason for this list of best Asian Skin care secrets not including this ingredient. If being applied to your face, it will lighten your acne and brighten your facial skin. there are a variety of products made from matcha, but natural options are always around you, so do not skip them. Allow the mask to sit on your face for 15 minutes, then wash it off with lukewarm water, pat dry afterwards. Some of interesting Asian skin secrets is kelp and seaweed. They are herbs used in Chinese and Japanese cuisines as the content of nutrients. However, they also contribute to traditional skin care routine in these two countries. Chinese imperial courtesans used them as natural exfoliants to help remove dead skin cells. 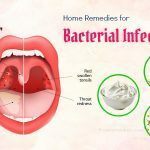 The remedy made from these ingredients is proven to be friendly and safe for most skin types due to its natural property. You could make a mask made from the combination of kelp or seaweed and aloe vera. Coconut oil is very common in Asian skin care routines. It is known as the major flavor in many Thai dishes, but also a powerful addition to help protect your skin. In the room temperature, coconut oil is great for the skin health because of its antioxidants and vitamin E. You can make use of serums made from coconut oil to make your complexion youthful naturally. 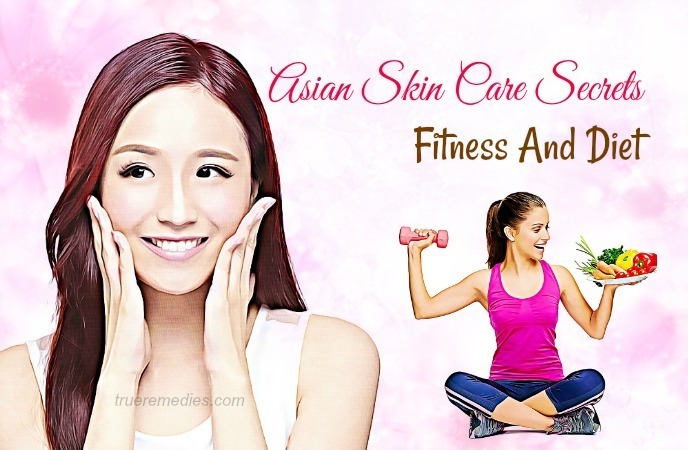 Hopefully, we have revealed some useful information about best Asian skin care secrets and routines that inspire you to plan a complete skincare regime for your own case. 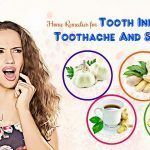 As the skin structure of Asian people is rather different from other regions’, smartly choose the tips and tricks which are suitable for your own. If you are also from Asia, grasp these Asian skin care secrets to attain healthy, youthful and beautiful skin. If not, test them on small skin areas first to make sure that your skin is suitable for such skin care routines. If you have any contributing ideas about this post, feel free to leave your comments below this post. For further references about beauty tips, visit our Skin Care page here.